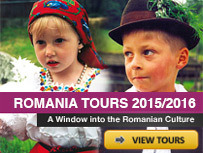 Dealu Monastery is one of the most remarkable architectonic edifices from our country. 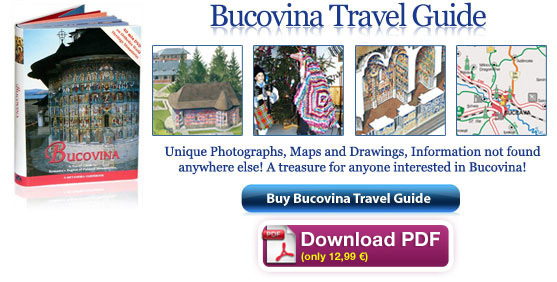 Built in a time of great artistic prosperity (the 16th century), the church reflects both from the structural point of view and decorative plastic art point of view the creative contribution brought by the native artists in order for them to promote the Romanian architecture. 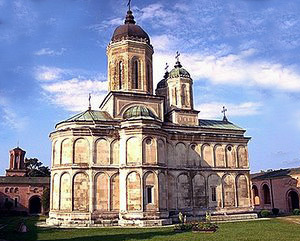 The monastery was built by the voivode Radu the Great (1495-1508) and it lies near Targoviste (the old capital of Wallachia), 4 km North-West away from the city, on the opposite bank of Ialomita Valley. 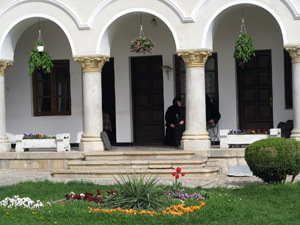 At present Dealu is a monastery for nuns, the celebration day of the church being St. Nicholas Day and the celebration day of the chapel being The Refuge of the Virgin. The church of Dealu Monastery. 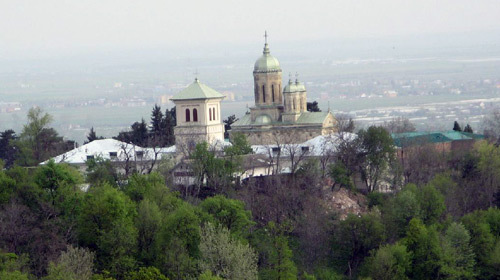 The name of the monastery is given by its geographical position. At the beginning it was frequently called in the medieval sources “Saint Nicholas Church from the hill” (hill=deal) or “The Church at Dealu”. The sanctuary at Dealu was from the beginning the royal necropolis probably because of its position near the city Targoviste, representing at the same time, a place for imprisonment for the ones charged by the ruler during the 17th century and 19th century. 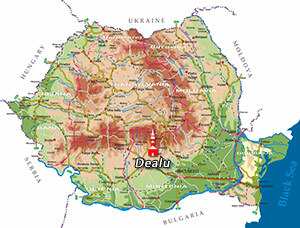 After the secularization of the cloistral wealth, in 1863, the edifices at Dealu were taken over by various institutions of the state. During the Independence War in 1877 a camp for a detachment of Turkish prisoners functioned here and till 1883 the Divisional School for officers had its headquarters there at the monastery. Nuns at the Dealu Monastery. The only thing of great value that has lasted over the years is the church, whose external aspect catches the visitors’ attention because it’s attractive and tremendous. 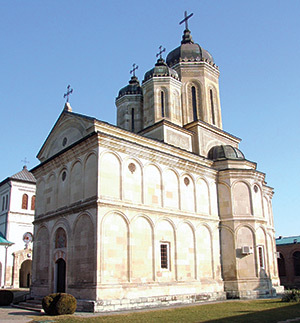 The sanctuary was conceived after the traditional type of building known in Wallachia in the second half of the 14th century, type that was used in the construction of the Vodita and Cozia monasteries. The local master masons succeeded in bringing innovative changes to the style of building through their skillful processing. The church is built of bricks and mortar, with lasting walls which are more than 1 meter thick. The proportions of the sanctuary are also impressing. The altar (being heptagonal on the outside and semicircular on the inside) is arched in a shape of a semiacolade extended with a cradle. The chamber is delimited from the nave through a catapetasma made of carved wood, done after the model of the one from the Episcopal Church in Arges. Sidewise to it, the wall withdraws on its both sides, which end at the limit of the two arches joined to the walls at the Northern and Southern side from the nave. In the Eastern part, one may see a large stone girdle, with a decorative motif, girdle which can be a pedestal for various items. In the nave (naos), on its Southern and Northern sides, one may see two circular apses on the inside and two pentagonal apses on the outside which are also arched with a semiacolade. The nave is delimited from the pronaos through a wall on which a marble ornamented frame is kept, frame which is looks like the one at the entrance door in the church. The pronaos has a rectangular prism shape and it’s divided in two unequal parts through a double-transversal arch. Above the pronaos there are two towers, built on both sides of the longitudinal axle of the church, characteristic that hadn’t occurred in Romanian architecture till the time the church was built. On the outside, the decorative plastic art was totally new for the edifices from Wallachia at that time. An important moment for the monastery was the bringing of the royal printing office, which was moved afterwards to Targoviste. 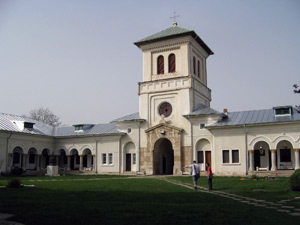 Beside manuscripts and printed works, just a few items offered by founders were kept at Dealu monastery, because of the robberies of the foreign troops. Today, in the church, one may see a big carved wood cross, covered with golden silver, cross which was offered by the ruler Matei Basarab in 1648-1649.